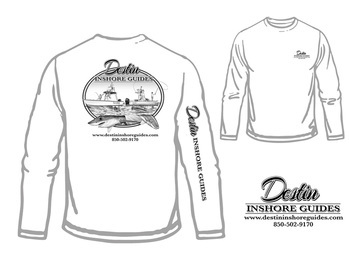 Destin Inshore Guides is proud to announce the arrival of the new Reel Lucky. 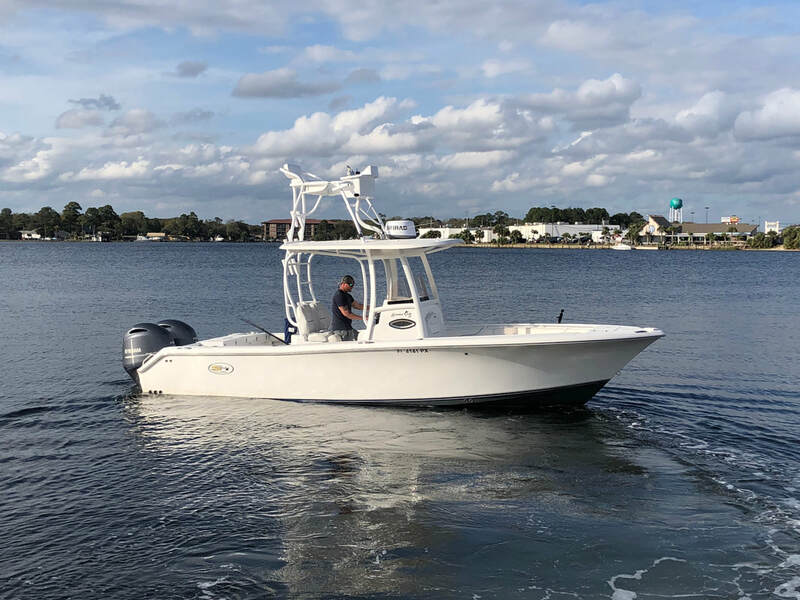 The Reel Lucky is a 2018 Sea Hunt BX 25 BR. Being one of the largest bay boats in the Destin area provides lots of room for your group. Sea Hunt bay boats are well known for their Carolina flairs making them one of the softest and driest riding bay boat out there. Combined with an extremely quite yet powerful and reliable Yamaha 300hp four-stroke engine makes this the industries top bay boat. Reel lucky has plenty of dry storage to keep all your valuables dry and out of the elements. Equipped with three live wells, Rhodan marine trolling motor, t-top, and state of the art electronics from simrad makes this a fishing machine. Unlike majority of bay boats in the area what makes Reel Lucky unique is she is equipped with a porta-potty inside the console making it family friendly to children and women. This boat has it all to make it a well-built fishing machine as well as provide more comforts compared to most. Reel Lucky has everything needed to catch your next memory of a lifetime. Reel Lucky 2 is a Sea Hunt bx 24 br bay boat. This boat is a fisherman’s dream setup. Sporting the carolina flair that Sea Hunt boats are known for and a sharp entry dead rise provides a nice comfortable and dry ride. And sporting a wide 8’6” beam she has lots of room and is very stable for choppier conditions in the bay. Reel Lucky 2 is powered by a very quite and powerful Yamaha 300hp four-stroke engine to get you to the fish faster. 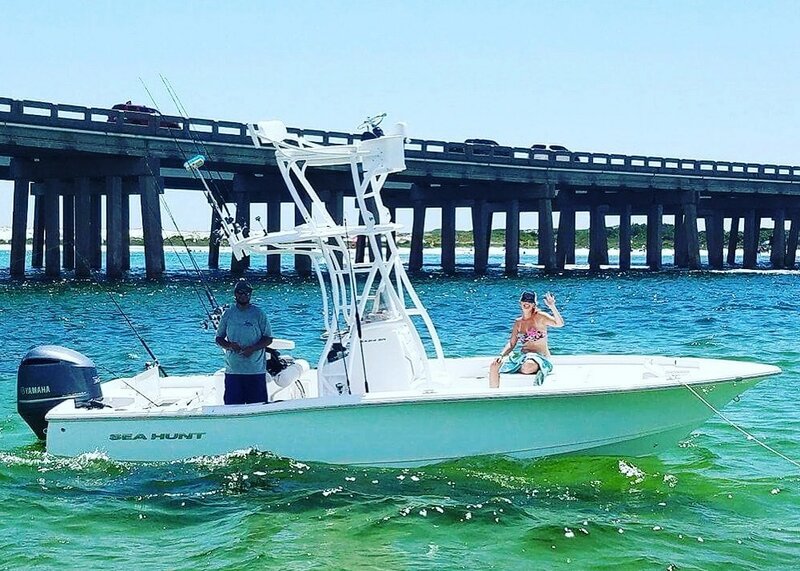 She features 3 large live well to keep all the bait fish alive, a cobia tower that provides shade and allows us to target certain species by sight fishing, state of the art electronics from lowrance to help find the fish and a large fish box to keep your catch fresh. The most important feature of the boat is the Minn Kota I-pilot trolling motor and powerpole. Unlike most inshore charter boats in the area this trolling motor does all the work to keep the boat on top of the fish in deeper water and the power pole allows us to anchor in shallow water with minimum amount of noise to prevent spooking fish. Both of these additions allows the captain to spend all his time taking care of your group instead of worrying about staying on top of the fishing spot. There is plenty of storage to keep your valuables out of the elements as well as a porta-potty located inside the center console to provide privacy making this boat very family friendly to children and women. Reel Lucky 2 has everything needed to catch your next memory of a lifetime. 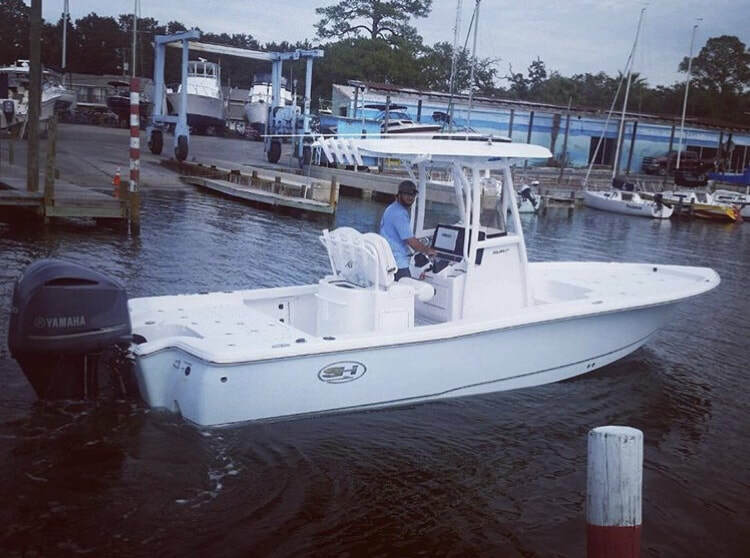 WASABI is a 2015 Sea Hunt Gamefish 25 Offshore series boat. This boat is the perfect setup for fishing the Gulf of Mexico. It sports the carolina flair that Sea Hunt boats are known for providing a nice and comfortable ride. This boat is very spacious and stable with a 9' wide beam and measuring in at 25'6" long. Wasabi is powered by twin 150hp four stroke Yamaha outboard and is equipped with top of the line electronics by Garmin. The boat is equipped with a large t-top to provide lots of shade on hot days and lots of seating all around the boat for accommodating groups up to 6 passengers comfortably. The Wasabi is kid and lady friendly with a full operating bathroom on board making the perfect boat for the entire family. Come aboard the Wasabi for you next family fishing adventure while visiting Destin, Fl. Capt Josh Calhoon has been fishing in and around Destin, Fl since he was 6 years old (bribing his older sister for rides to the pier) & has been charter fishing for the past 16 years. Josh has fished anywhere from the back bay of the Destin/Ft Walton area to the offshore oil rigs. 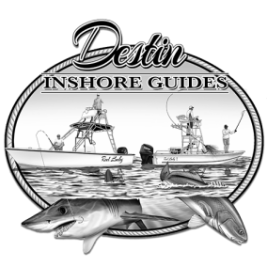 During Josh's 20+ years of fishing he has had the opportunity to fish with some of Destin's finest captains, & has developed the reputation of being a well respected fisherman as well as being great with kids of all ages. In 2017 and 2018 he won the Captain of the Year award in the Destin Fishing Rodeo. 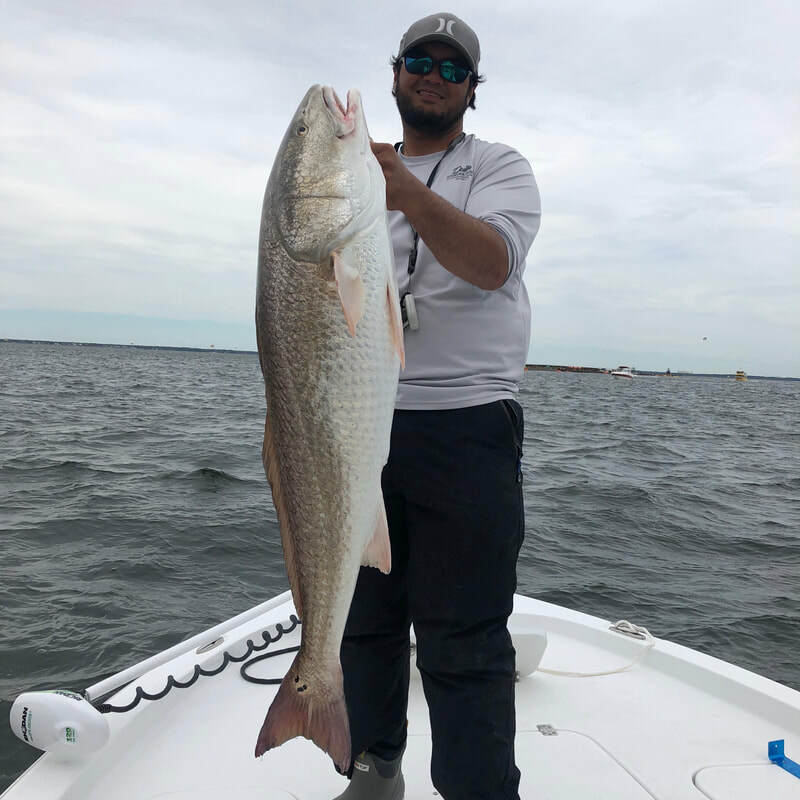 Throughout all his travels, he has found that his favorite type of fishing is inshore bay fishing for redfish, specifically spot casting for them in the shallow waters. As a father & husband Josh also understands the importance of family; he loves helping other dads (& moms) teach their children how to fish. On his days off he can be found fishing with his wife & 5 year old daughter, who is also quickly becoming an avid fisherwoman. Capt Kyle lives, eats, & breaths fishing especially when it comes to light tackle bay fishing. Being born and raised in the local Destin, Florida area he grew up fishing the back bay waters of the Choctawhatchee bay. Some of his most memorable times as a teenager was roaming the intra-coastal water ways with friends on his jon boat. After graduating high school Capt Kyle ventured away from the area for college and entered the work world soon after. It didn't take him long to realize that fishing is what he wanted to be doing and he took the venture of earning his Captains license. He has been guiding inshore bay charters ever since. Even on his off time you can find him scouting the local waters, usually on his paddle board. His favorite type of fishing is fly fishing on his paddle board in the skinny waters of the back bay targeting redfish and speckled trout. Capt Kyle has a young daughter so he understands the importance of bringing the whole family on board to share in the exciting adventure. One of his favorite parts of the job is getting the young kids hooked on fish, whether it is their first ever or just their next. Capt Kyle specializes in inshore bay fishing so chances are good that if you are booking a bay fishing trip or a kids fishing trip you may be fishing with him.